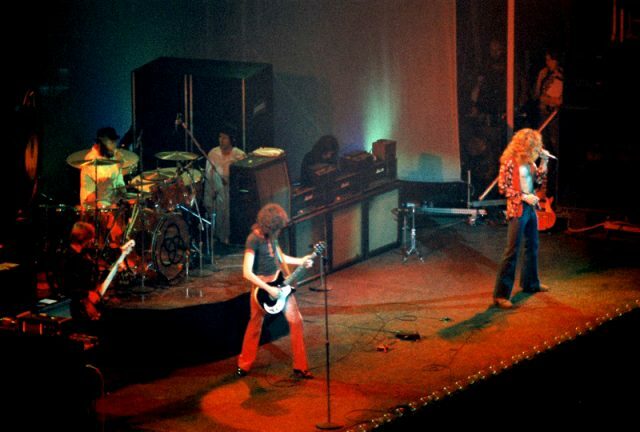 Led Zeppelin were one of the most influential rock bands in history. During their prolific career, which lasted from 1968 to 1980, they received worldwide praise from critics and fans alike. Their innovative eclectic style combined elements of rock, blues, folk, and psychedelia, and kick-started many prominent musical genres of the late 20th century, including heavy metal and progressive metal. The band’s album Led Zeppelin IV, which features the timeless song “Stairway to Heaven,” is still regarded as one of the greatest rock albums of all time. When Jimmy Page, John Bonham, Robert Plant, and John Paul Jones first started playing together in 1968, they used the name the Yardbirds. That name was used previously used by a rock band for which Page played as the session lead guitarist; Led Zeppelin used the name until Chris Dreja, the former Yardbirds bassist, threatened to sue the band over name rights. 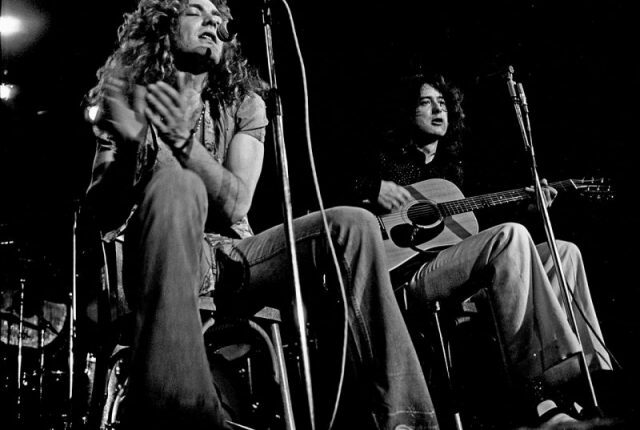 This prompted the band to search for a new name, and they first jokingly chose the name “Lead Balloon.” However, they soon replaced the world “balloon” with the more unusual-sounding word “zeppelin,” and “lead” was replaced with “led” so that fans or critics wouldn’t pronounce the band’s name as “Leed Zeppelin”. By February of 1970, Led Zeppelin ruled the Billboard charts. The band members started working on their third album, the universally acclaimed Led Zeppelin III, and organized a month-long European tour. The tour, which started on February 23, was a treat for numerous fans across western and northern Europe: Zeppelin lovers from many nations eagerly awaited the mega-popular band’s arrival. However, one particular aristocrat wasn’t at all happy with the idea of Led Zeppelin coming to Denmark and actually tried her best to cancel the band’s Copenhagen show. That aristocrat was none other than Frau Eva von Zeppelin, descendant of Count Ferdinand von Zeppelin, the German inventor and industrialist who developed, manufactured, and popularized zeppelin airships in the 1910s. Eva von Zeppelin was outraged by the band’s use of her family name: she thought that their use of it was disgraceful and utterly disrespectful, so she threatened to take legal action against the band if they played a show in Copenhagen. This actually wasn’t her first attempt to stop Led Zeppelin from publicly appearing in Denmark. In 1969, she unsuccessfully tried to stop the band from appearing on a TV show after their performance in Copenhagen. At that time, although Frau Zeppelin publicly stated that the band members were “shrieking monkeys” and eagerly tried to convince the authorities that her age-old family name was being slandered, Led Zeppelin still appeared on Danish national television. 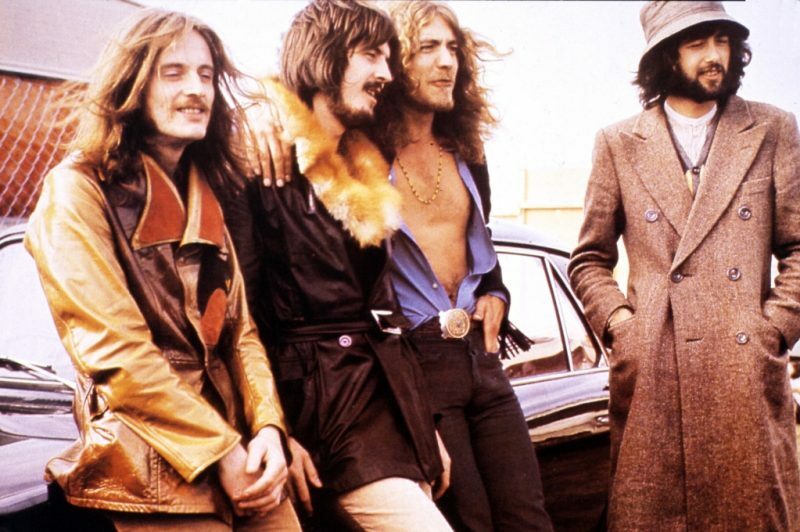 Furthermore, Page, Bonham, Plant, and Jones decided to meet the lady in order to prove that they were decent people and that their use of her family name wasn’t derogatory in any way. According to Page, the meeting was organized at the same TV studio where the show was to film and, surprisingly, Frau Zeppelin enjoyed hanging out with the band and even agreed to let them continue using her precious family name. 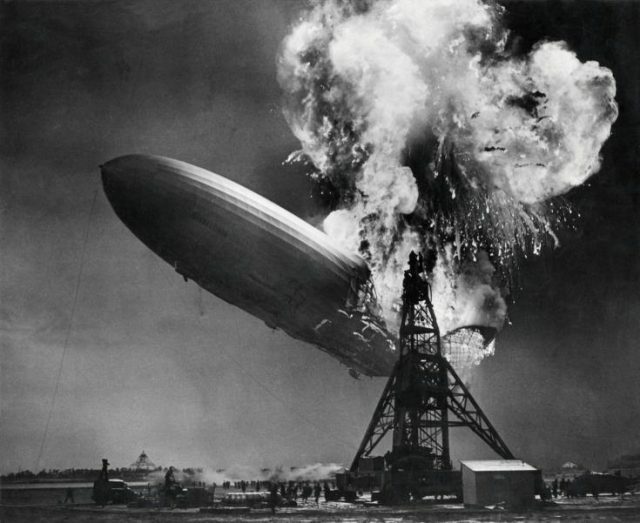 Unfortunately, upon exiting the studio, she noticed that the cover of the band’s first album featured the infamous photograph of the burning Hindenburg airship. In 1937, the Hindenburg malfunctioned and caught fire and the accident resulted in the deaths of 36 people. 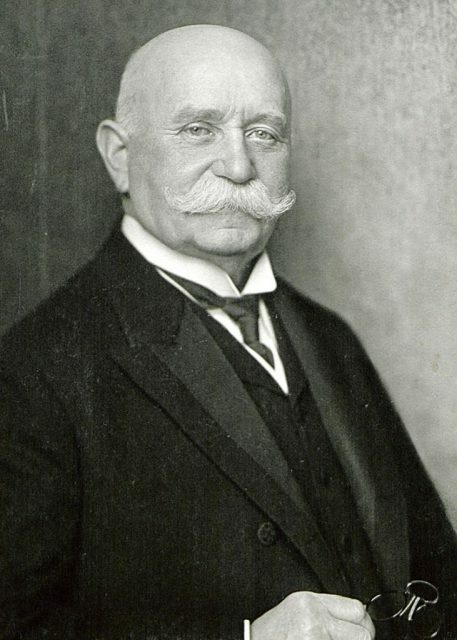 Also, the Hindenburg disaster is known as the event that ended the era of zeppelin airships. The album cover enraged Frau Zeppelin all over again and she decided to continue her crusade against the band. In the days before their 1970 Copenhagen show, the band realized that the she was so determined to stop them from playing in Denmark that she had hired several high-profile lawyers who were probably capable of winning a threatened lawsuit against Led Zeppelin. Although they were planning on canceling the show in order to avoid legal troubles, the band members ultimately employed a tongue-in-cheek strategy: they decided to play the Copenhagen show under a different name. Therefore, on February 28, 1970, Led Zeppelin rocked Copenhagen under the name “the Nobs.” The name was a pun on the name of their European promoter, Claude Nobs. The temporary name stopped Eva von Zeppelin and her lawyers from taking any legal action against Led Zeppelin. Also, the controversies which surrounded the band’s show in Copenhagen were beneficial for their publicity because newspapers across the world reported on their witty and innovative resolution to the conflict. Frau Zeppelin was doubtless left frustrated. This entry was posted in England, Europe, History, Music., Travel, World by rolyred. Bookmark the permalink.